Holymoor Consultancy Ltd. has participated in a successful consortium awarded funding by the Scottish Government to carry out a feasibility study for geothermal district heating in Lanarkshire. Other members of the Consortium included James Hutton Ltd., Town Rock Energy, Scene Consulting and the British Geological Survey. 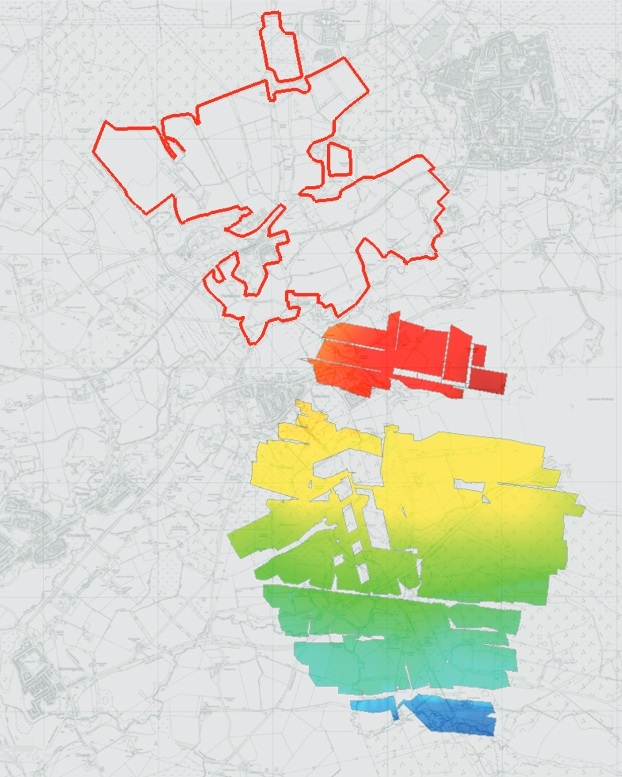 The study area was centred around farmland owned by the James Hutton Institute at Hartwood, but included considering the feasibility of delivery of geothermal heating to other nearby communities such as Shotts and Allenton. The area is underalin by a number of shallow worked coal seams, and also by deeper seams formerly worked from the Kingshill No. 1 Colliery. Holymoor Consultancy was fortunate enough to be invited by Groundwater and Geothermal Services and the University of Cumbria to support the planning and interpretation of an innovative pumping test in Florence Ironstone mine shaft, near Egremont, Cumbria. 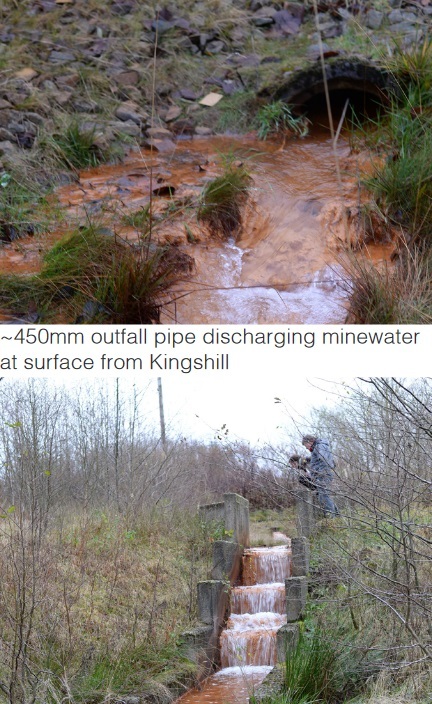 The test involved not just the pumping of (relatively clean) mine water, but also the extraction of over 100 kW of heat from the pumped flow, and the recirculation of a proportion of the chilled water back into the shaft. Additionally, a modest saline tracer test was also carried out in the shaft. The overall objective of the test was to demonstrate the potential for significant heat supply from the mine water (via a heat pump system) to nearby communities. Comprehensive electronic and manual monitoring of the shaft, nearby EA observation boreholes and adjacent ironstone mines was also carried out, together with a programme of hydrochemical and stable isotopic sampling. The results of the test will hopefully soon be published in a forthcoming issue of the Journal of Sustainable Water Resources Management. Dave Banks of Holymoor Consultancy is optimistic about the prospects of geothermal heat from mine water. Here, we see the industrial-scale heat pump installed at the head of Florence Ironstone shaft by Groundwater and Geothermal Services. Holymoor Consultancy Ltd was sub-contracted, between 2012-2015 to the Norwegian consultancy NORPLAN to provide specialist hydrogeological input to the project Capacity Building and Institutional Cooperation in the Field of Hydrogeology for Faryab Province, Afghanistan.The project is funded by the Norwegian Government via NORAD and ran for 4 years. 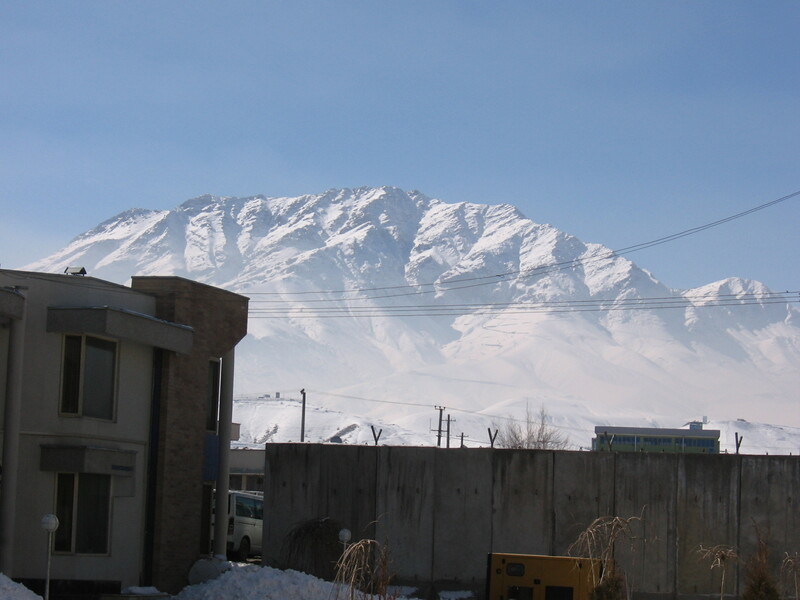 The project was carried out for the Afghan Ministry of Rural Rehabilitation and Development (MRRD), who have responsibility for rural water supply in Afghanistan. The project aimed to compile data on the hydrogeology of the northern province of Faryab, which stretches from the mountainous core of Afghanistan in the south, into the semi-desert area of Andkhoi in the north, where water resources are severely stressed and much of the groundwater is saline. The project aims to produce a web-based hydrogeological atlas of the province as one of its outputs. the extensive training of a cadré of Afghan hydrogeologists in topics as diverse as hydrochemistry, geophysics, pumping test analysis, recharge estimation, hydrogeological mapping, basic Excel manipulation. Holymoor Consultancy Ltd. starts trading ! Holymoor Consultancy Limited is proud to announce that it was registered as a limited company in England and Wales (no. 06747725) on 12th November 2008. It started trading on 1st December 2008. Full details of the registered office can be found below. David Banks is appointed the Director of the new company and continues to provide his services to the commercial market through it. Prior to 1st December 2008, Holymoor Consultancy operated as a sole tradership (David Banks t/a Holymoor Consultancy). Holymoor anticipates that the conversion to a limited company will be as seamless as possible from the point of view of the client. Terms of trading and prices for services will be subject to as few changes as possible and any existing agreements will be honoured. Dave Banks continues to operate a limited sole tradership business, providing personal teaching, research and emergency aid / development services to Universities and to aid organisations. These are channelled through David Banks t/a "D Banks GeoEnvironmental Services". HolyMoor consultancy continues to expand activity in the field of thermogeology (ground source heating and cooling). HolyMoor continues to work closely with Carbon Zero Consulting of Rutland and Envireau Water of Draycott, providing a design consultancy service. HolyMoor has also assisted Geowarmth Heat Pumps Ltd. in developing a thermal conductivity testing service, which has been successfully implemented at numerous sites in UK and Ireland. Holymoor has also made available a similar thermal response test advisory and interpretation service for Kensa Heat Pumps of Cornwall, Lankelma Green Energy and Carbon Zero Consulting. Open professional (CPD-type) short courses on the topic of ground source heating and cooling have been delivered at Chesterfield (five times), Hebburn (Tyneside), Alton (Hants. ), Trondheim (Norway), Dublin (Ireland), Horsens (Denmark) Torshavn (Faroes) and Milano (Italy) to around or over 30 participants at each event. A second, more detailed hands-on course on computer-aided ground loop design has been delivered twice in Coalville (Leicestershire) and once in Dublin. Furthermore, internal training has been provided to the Environment Agency at York, Birmingham and Peterborough, to Bosch Thermotechnology, Coresource, Groundwork North-East, Mitsubishi Electric,Terajoule the Polish Geological Institute and AWN Consulting. Holymoor continues to provide ground loop design services, to a range of clients. Holymoor invests in the most up-to-date version of Earth Energy Designer (EED v. 4) software by Blocon of Lund, Sweden and in Ground Loop Design Software by Gaia Geothermal.